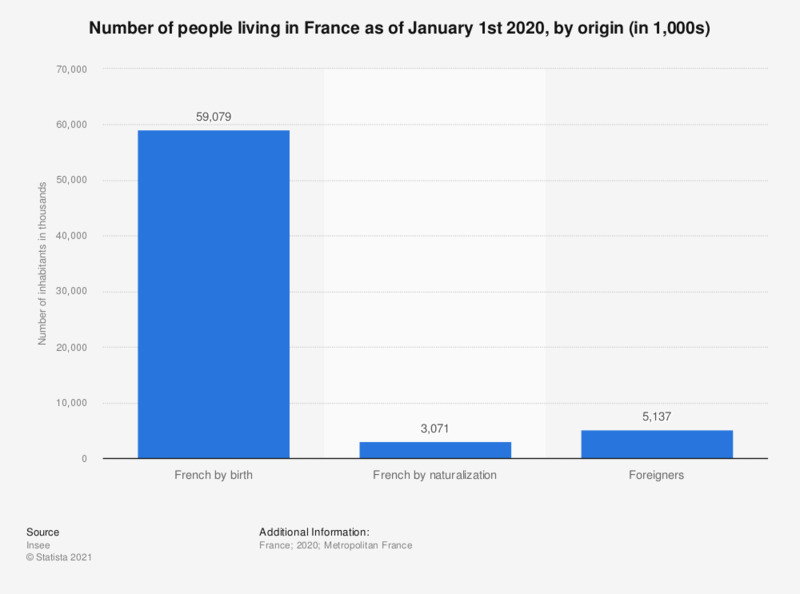 This statistic shows the number of persons living in France as of January 1, 2015, according to their origin, in thousands. In 2015, there were 59 million people living in France who were born with the French nationality. According to the INSEE definitions, an immigrant is a person who lives in France but was born abroad and did not have French nationality at birth. A foreigner is a person living in France but who does not have French nationality, even though he/she was born in France.